Back in 2018, Jordan Brand revealed its latest Don C collaboration to the world with a plethora of mixed reviews. 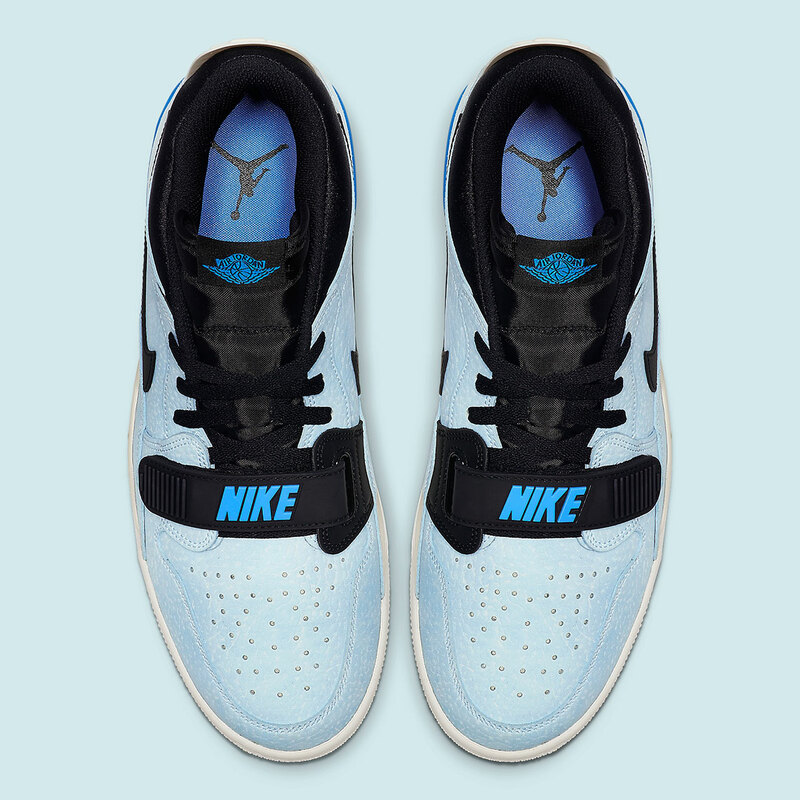 The shoe is interesting as it's a hybrid between the Jordan 1, Jordan 3, and Nike Air Trainer. OG sneakerheads have been known to stick their nose up at any and all hybrid shoes because they just aren't as good as the originals. 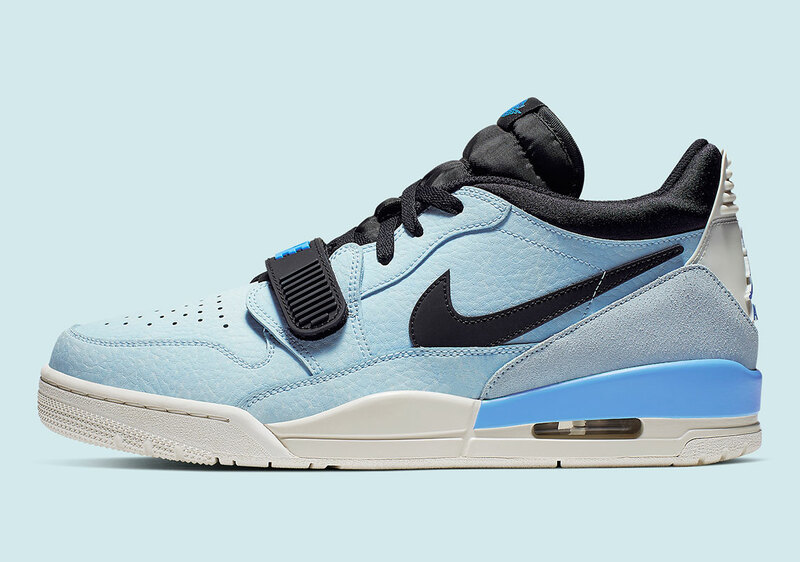 Regardless of how you feel about the shoe, it's managed to be a huge success as multiple colorways have been released and now, a low top version is here. 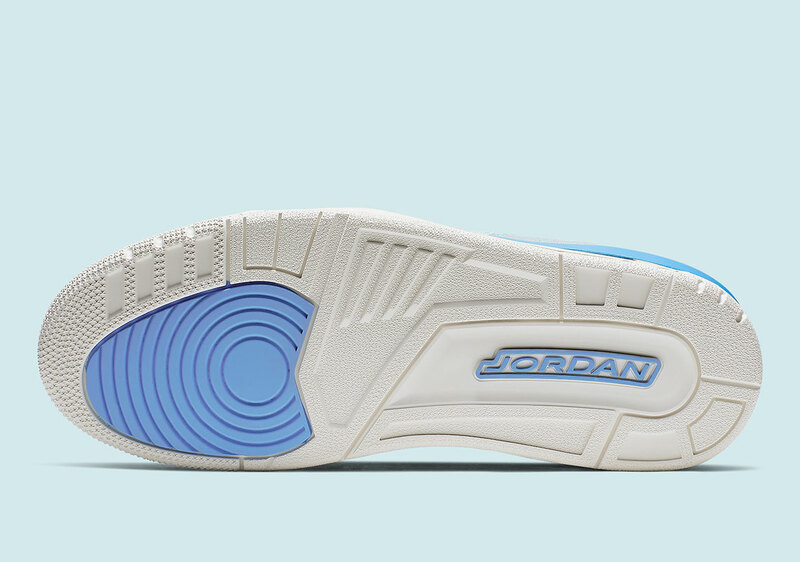 Very few colorways of the Jordan Legacy 312 have made it to the market so far but with Spring approaching, Jordan Brand is trying to change that. 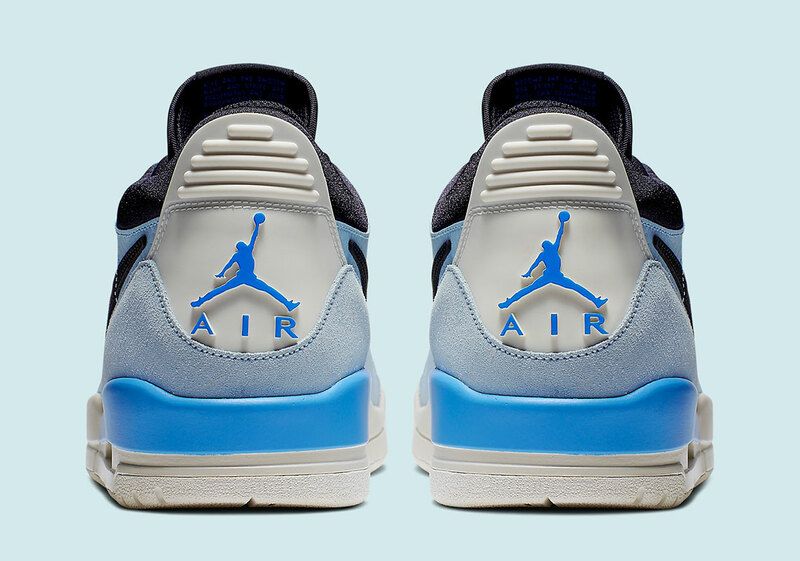 The latest model that has been revealed, is dressed in a baby blue upper, with royal blue appearing on the back of the midsole. Meanwhile, the top half of the shoe, meaning the laces, tongue, cuff, and velcro strap, are all black. 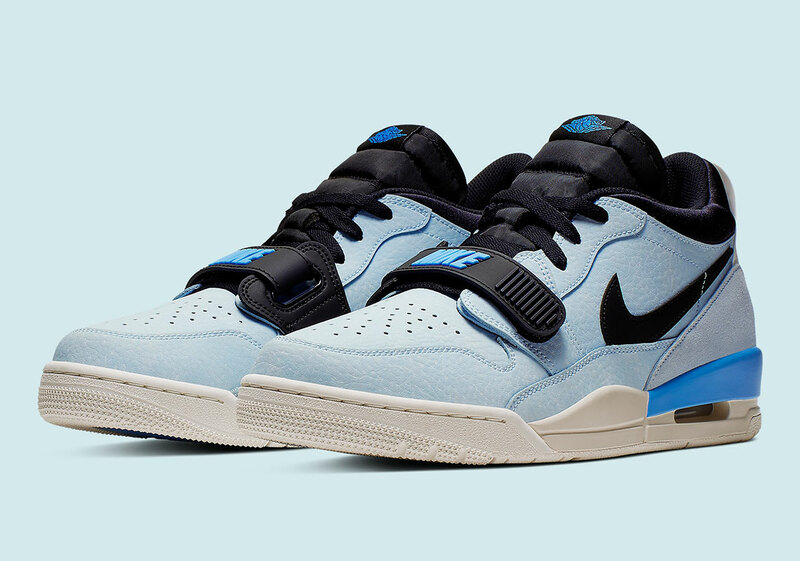 It's a pretty clean colorway that will be perfect for those looking for some new kicks to rock during the Spring and Summer months. So far, there is no concrete release date, although according to Sneaker News, these will be released through Nike.com for $140 USD.